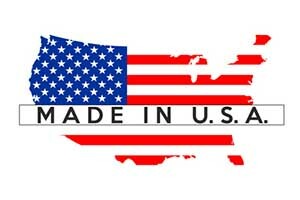 Made in the USA: Quality Pet Food Ingredients from New England – Finicky Pet Food, Inc.
One of the most important notations found on a bag of dog or cat food in the United States today is the “Made in the USA” statement and flag. More Americans are reading pet food ingredients than ever before, and they want to know that the food they purchase is indeed made in the USA and that the quality marine ingredients found in their pet food are locally sourced as well. Honesty and transparency are important to consumers and, as a result, are also important to manufacturers. If your company has worked hard to make pet food or treats with 100 percent US ingredients, you can add Finicky Pet Food, Inc. to your list of trusted suppliers. We are located in New Bedford, Massachusetts, near the world’s most profitable and highest grossing fishing port in the USA. The quality marine ingredients that we use in our frozen pet food products is sourced directly from the New England fishing industry. The seafood that we receive gets processed and plate frozen the day that we receive it, to provide our clients with the freshest possible pet food ingredients. Not only is everything processed right here in New England at our facility, but outside of our red meat tuna, which comes from South America, everything else is 100 percent sourced and made in the USA. As anyone in the petfood industry knows, the “Made in the USA” claim and symbol on pet treats or food has immense buying power with the consumer. While there are some who simply want to buy American, there are others who remember a pet food recall several years ago that resulted in the death of thousands of pets. The ingredient responsible for those deaths was imported from China, and ever since then, pet owners have been hyper aware of recalls and issues with pet food ingredients that come from specific countries. In fact, studies show that many consumers in the United States and Canada are no longer putting their trust in pet products that are sourced outside of North America. What Does “Made in the USA” Mean? It is important for manufacturers and consumers alike to know what it means when they see the “Made in the USA” label on pet food and treats. While some consumers claim that more regulation is required, the truth is that regulations already exist to that ensure the “Made in the USA” claim falls under strict requirements that must be met by the manufacturer. While the United States Food and Drug Administration (FDA) regulates pet food products, another group is known as the Association of American Feed Control Officials (AAFCO) also regulates these products as well. At Finicky Pet Food, Inc., our customers are our top priority. We go out of our way to ensure that the pet food ingredients that we provide from our local New England fishing industry sources are high quality. In fact, every load that we ship comes with a Letter of Guarantee, which states that we will meet customer specifications or the load will be replaced FREE of charge. The grind sizes for our quality marine ingredients are determined by the customer. Samples are taken before the freezing process to test for moisture and fat in our Quality Control Lab. All of our products are frozen into two block sizes, which include 45 and 62-pound options. To learn more about all of our quality marine ingredients or to place an order, give us a call at 508-991-8448. Our customer service team will help you get the pet food ingredients that you require and assist you by ensuring that they are processed according to your specifications. You can also use our online contact form to reach out to someone in our sales division.